Can’t wait to get munching on these projects! It’s been over 40 years since Eric Carle’s The Very Hungry Caterpillar hit bookshelves. And in that time it has not only become a beloved classic at home and in the classroom, it’s also inspired hundreds of crafts and lessons. 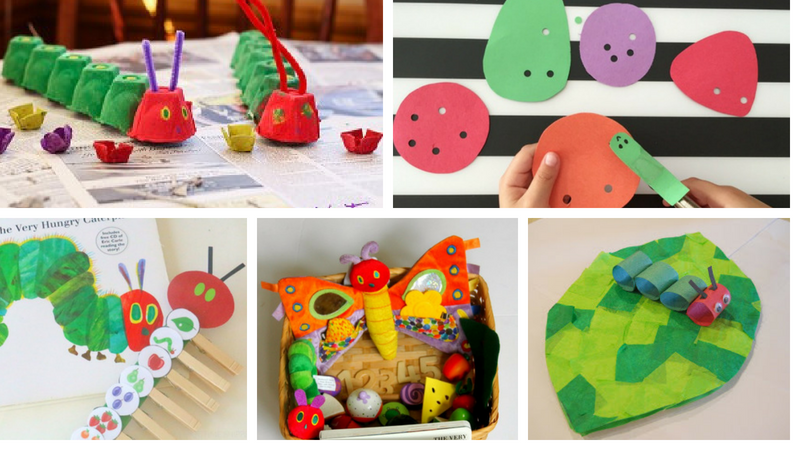 Here are a dozen of our favorite Very Hungry Caterpillar activities. 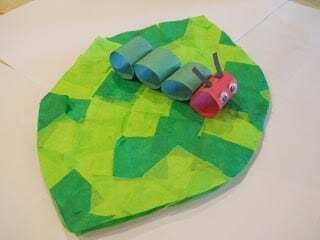 No activity roundup for The Very Hungry Caterpillar would be complete without the classic egg carton caterpillar. Yes, it’s been done before, but it’s one of those memorable activities (and keepsakes) that every kid loves. This activity helps students engage with the story, learn the days of the week, practice their counting skills, and learn about healthy eating! Being able to recognize the similarities and differences between letters is an important skill for early readers and writers. 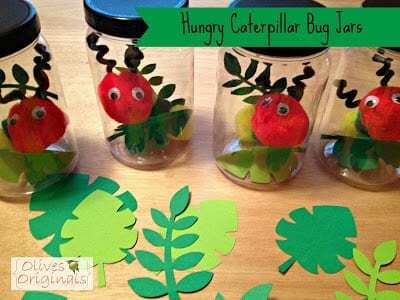 With this fun activity kids build caterpillars letter by letter by sorting them into curves and straights. 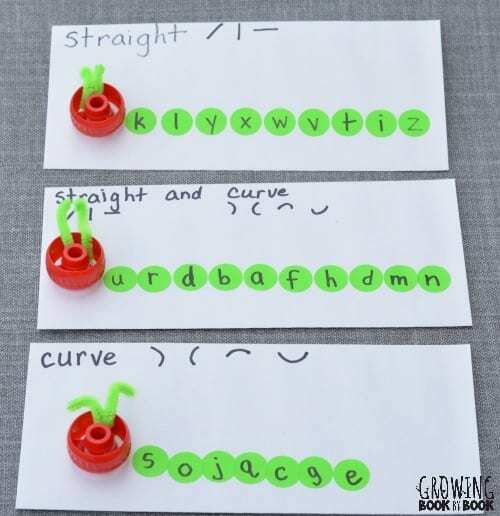 This activity is a fun way to work on another important literacy skill—sequencing. 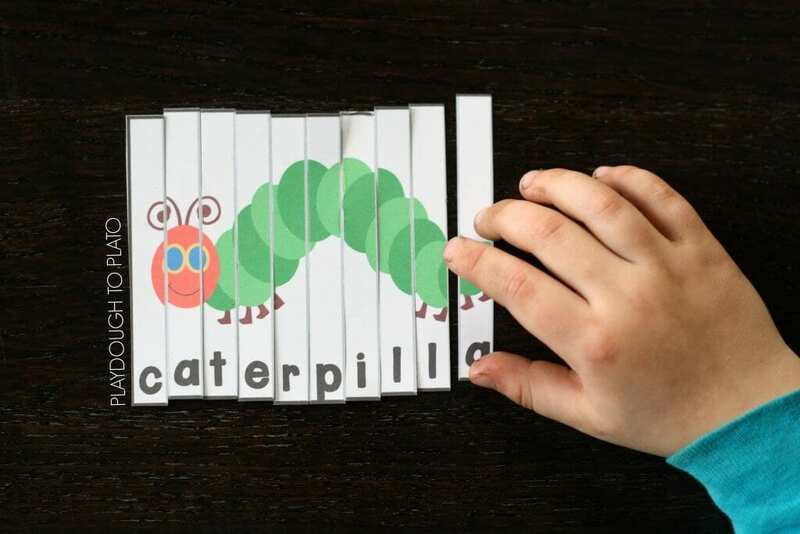 After reading the story together, students can retell it in order by clipping the story sequence circles (download here) onto the caterpillar body. These simple, colorful word puzzles are a novel way to practice letter sounds, shape recognition, word building, and fine motor skills. Download templates here. 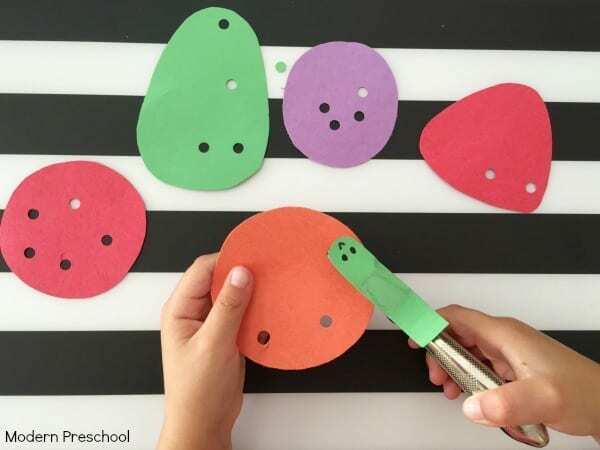 Speaking of fine motor skills, kids will love this activity. They will chomp and munch through the fruit shapes using a caterpillar hole punch. Have them retell the story as they munch so you can check for comprehension. Get your hands dirty and give a little nature lesson while celebrating The Very Hungry Caterpillar. This blog gives you step-by-step directions (scroll down to Thursday’s entry) for creating your own project. This adorable book features a little caterpillar lying on a leaf on the cover, his cozy cocoon on the back, and the butterfly he becomes in the middle. Hang these books from your classroom ceiling for a colorful display. Use this fun basket when reading the story with your class, then have it available afterward for kids to enjoy in a choice center. 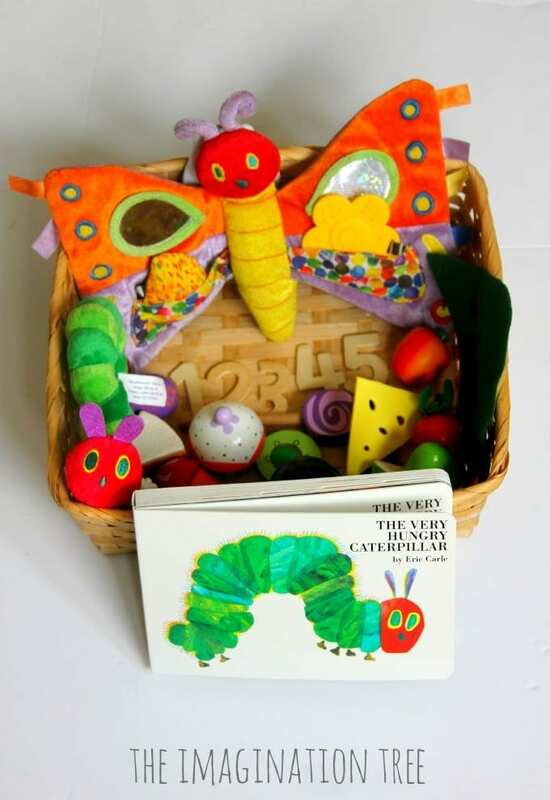 Include the book, a caterpillar, a butterfly, and plastic foods for the caterpillar to munch on. 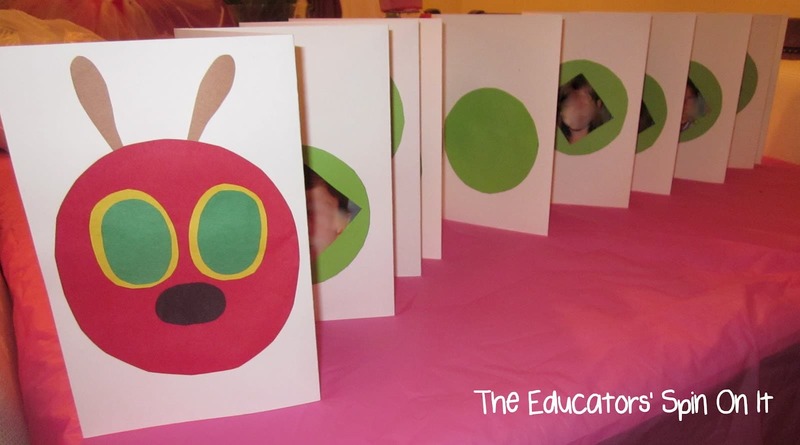 Looking for a fun caterpillar activity that combines art and math? These free fingerprint counting printables make learning number sense fun while giving your kids a chance to get their hands messy. 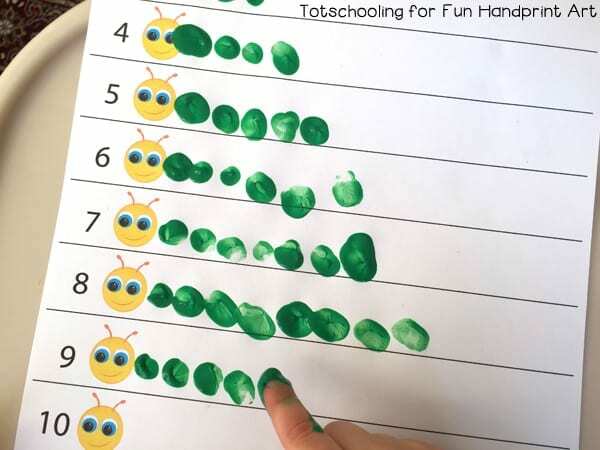 Also check out Totschooling’s free dot-paint packet, which includes tons of activities to help kids work on fine motor skills, counting skills, prereading and prewriting skills, and more. 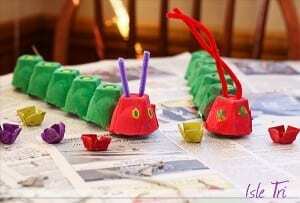 Use pom-poms, pipe cleaners, and googly eyes to create these adorable caterpillars. Cut out some fresh green leaves, pop them in a mason jar, and give your students their very own lovable pet. Have each student paint a green circle on an 8.5 x 11 sheet of white card stock. If you have time to take and print photos of each child, have them glue their photo inside of their circle. If not, ask each student to draw a self-portrait. 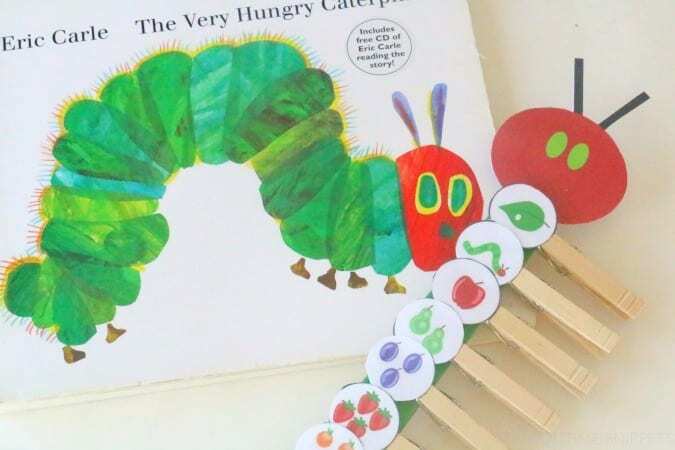 Join the children’s pages together with staples or tape and add the caterpillar’s head (see photo for sample). 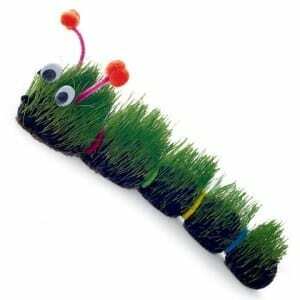 Hang your class caterpillar in the hall outside your classroom or on your door to share with your school. 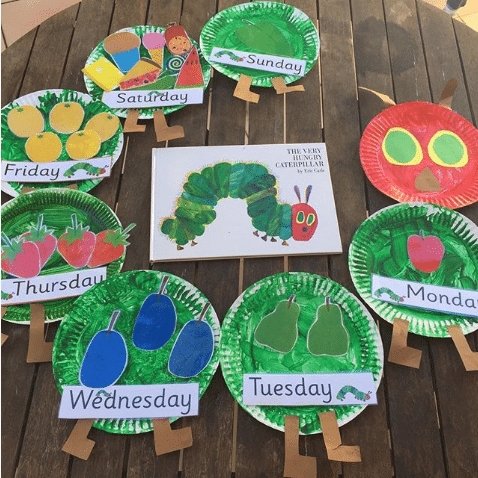 What are your favorite The Very Hungry Caterpillar activities? Come and share in our WeAreTeachers Helpline group on Facebook. Also, check out the best camping books for kids.